HOW TO USE: Read the Patient Information Leaflet if available from your pharmacist before you start using clindamycin/benzoyl peroxide and each time you get a refill. If you have any questions, ask your doctor or pharmacist. Before using this medication, wash the affected skin gently with mild, non-medicated cleanser, rinse with warm water, and pat dry. Apply a thin layer of this medication to the affected areas of the skin as directed by your doctor. Be careful to avoid your eyes, mouth, inside your nose, and any areas of broken skin. Wash your hands after each use. Use this medication regularly to get the most benefit from it. To help you remember, use it at the same time(s) each day. Do not increase your dose or use this drug more often or for longer than prescribed. Your condition will not improve any faster, and your risk of side effects will increase. It may take up to 6 weeks to see a decrease in acne and up to 12 weeks to see the full benefit of the medication. Tell your doctor if your condition does not improve or if it worsens. What if I miss a dose of Benzaclin? MISSED DOSE: If you miss a dose, use it as soon as you remember. If it is near the time of the next dose, skip the missed dose. Use your next dose at the regular time. Do not double the dose to catch up. SIDE EFFECTS: Dry skin, redness, burning, itching, or skin peeling may occur. If any of these effects persist or worsen, tell your doctor or pharmacist promptly. You can use skin moisturizing creams or lotions to help reduce many of the side effects listed above. Remember that your doctor has prescribed this medication because he or she has judged that the benefit to you is greater than the risk of side effects. Many people using this medication do not have serious side effects. This medication may be absorbed into your bloodstream and very rarely cause a severe intestinal condition (Clostridium difficile-associated diarrhea) due to resistant bacteria. This condition may occur weeks after treatment has stopped. Do not use anti-diarrhea or opioid medications if you have the following symptoms because these products may make them worse. Tell your doctor right away if you develop: persistent diarrhea, abdominal or stomach pain/cramping, blood/mucus in your stool. A very serious allergic reaction to this drug is rare. However, seek immediate medical attention if you notice any symptoms of a serious allergic reaction, including: rash, itching/swelling (especially of the face/tongue/throat), severe dizziness, trouble breathing. This is not a complete list of possible side effects. If you notice other effects not listed above, contact your doctor or pharmacist. In the US - Call your doctor for medical advice about side effects. You may report side effects to FDA at 1-800-FDA-1088 or at www.fda.gov/medwatch. In Canada - Call your doctor for medical advice about side effects. You may report side effects to Health Canada at 1-866-234-2345. DRUG INTERACTIONS: Drug interactions may change how your medications work or increase your risk for serious side effects. This document does not contain all possible drug interactions. Keep a list of all the products you use (including prescription/nonprescription drugs and herbal products) and share it with your doctor and pharmacist. Do not start, stop, or change the dosage of any medicines without your doctor's approval. Some products that may interact with this drug include: other acne medications used on the skin (e.g., dapsone). PRECAUTIONS: Before using this medication, tell your doctor or pharmacist if you are allergic to benzoyl peroxide; or to clindamycin; or to lincomycin; or if you have any other allergies. This product may contain inactive ingredients, which can cause allergic reactions or other problems. Talk to your pharmacist for more details. This medication should not be used if you have certain medical conditions. Before using this medicine, consult your doctor or pharmacist if you have: intestinal disorders (e.g., regional enteritis, ulcerative colitis, antibiotic-associated colitis, Clostridium difficile-associated diarrhea). This medication may make you more sensitive to the sun. Limit your time in the sun. Avoid tanning booths and sunlamps. Use sunscreen and wear protective clothing when outdoors. Tell your doctor right away if you get sunburned or have skin blisters/redness. This medication may bleach hair or colored fabric. Avoid contact with hair or clothing. During pregnancy, this medication should be used only when clearly needed. Discuss the risks and benefits with your doctor. This drug may pass into breast milk and could have undesirable effects on a nursing infant. Consult your doctor before breast-feeding. Which New Generic Drugs will be in US Pharmacies in 2018? Commonly used to treat acne vulgaris. Commonly used to treat acne rosacea. Commonly used to treat Bacterial Infection, Bacterial Vaginosis, acne vulgaris. If you need to take prescription medication such as Benzaclin over an extended period, buying a larger quantity could save you time and money. Many drugs, including Benzaclin work out cheaper per pill or dose when purchased in volume. Speak to your doctor about increasing the your prescription and you could pay less for drugs and need fewer trips to the pharmacist. Drug prices are not regulated, so the price Benzaclin of medication may vary significantly between your local pharmacies. 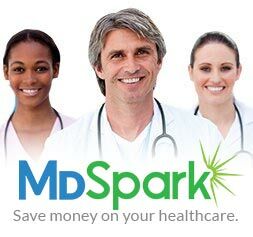 Online pharmacy comparison shopping is the simplest way to quickly discover which retailer has the lowest prices for your prescriptions. Enter the name of your prescription, for example Benzaclin, into the search box, add the zip code and click to browse prices and coupon offers. When you have found the cheapest price, print or save the coupon and and take it in to your chosen pharmacy. Comparing prices can save you up to 75 percent on your prescriptions. Patient assistance programs offered by drug manufacturers can help you save money on your prescriptions. Many drug manufacturers have such a program, offering discounts to eligible patients who are prescribed Benzaclin. Patients prescribed expensive or branded medication may qualify for discounts through such programs. Benzaclin and other branded drugs often have a generic equivalent on the market at a significantly lower price. Generics account for around 8 out of 10 prescriptions filled in the US and are identical their brand name counterparts in quality, safety, strength, dosage form, route of administration, performance characteristics and intended use. Talk to your pharmacist or doctor about safe generic alternatives to your branded prescription. Seniors with Medicare Part D may be entitled to discounts on Benzaclin and other prescriptions through their policy. The list of drugs covered varies from plan to plan, so check your provider’s website for more information.